I always wished I could moonwalk. Not because I listened to hip-hop and wanted to add the move to my breakdancing repertoire, but because Michael Jackson made everyone wish they could moonwalk. Michael Jackson is the King of Pop because he made awkward and pudgy white kids in suburban America wish they could move like he could. Gawky kids like me were the final frontier, and he was the great unifier. Everyone loved Michael Jackson, because you couldn’t not love Michael Jackson. If you didn’t get a rush of awe watching him glide backwards across a stage, his feet rolling with the fluidity of waves across the ocean and his body as lithe as his movements were seamless, you simply didn’t know what it meant to be entertained. And all Michael Jackson ever wanted to do was entertain. To solicit the smiles that he wished he could have experienced more of in his youth, having been forced to become a star before he was allowed to be a child. And while that was the heart of his problems as of late, it was also what makes him so damn irresistible as an artist. Just try and listen to “Off The Wall” without a smile on your face. I dare you. Try and find anyone who doesn’t have a memory tied to “Thriller,” the single greatest-selling record of all time. And “Bad” is nothing short of brilliant. Michael Jackson’s appeal was undeniable, and his music was magical. He had an innate ability to connect, and that connection bordered on spiritual for music fans. That is the power he held as a performer, and that is the power he will continue to hold as an entertainer, even in his death. There’s a finality to that statement that is frighteningly harsh and tragically real. Yet as tragic as his death is, it is equally tragic that so many people will choose to speculate on his demons, rather than pay homage to an artistic legacy that puts him in the company of Elvis Presley, The Beatles, Frank Sinatra and James Brown. He changed the way we listened to music, and he changed the way we watched music. Michael Jackson forever changed the world of entertainment. If even for just a brief moment, let’s ignore his sales and chart records. Let’s pay no mind to torrid speculation. 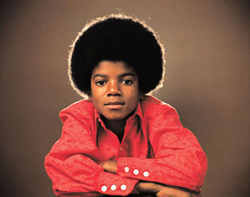 Let’s forget that he is the King of Pop, and simply remember him for the musical joy that he leaves behind. Let’s remember the child prodigy that fronted the Jackson 5 and the unadulterated glee of “Rockin’ Robin,” the unparalleled hit machine that barreled through the ‘80s and well into the ‘90s, and the visionary behind epic videos that are without rival in the three-decade history of MTV. His collaborations ranged from Diana Ross and Stevie Wonder, to Paul McCartney, Vincent Price and Eddie Van Halen. He was the mastermind behind “We Are The World,” a virtual who’s who of pop music’s pantheon in 1985, and he turned “Black or White” into an anthem in 1991, before Barack Obama held his first public office. Michael Jackson was more than an R&B legend, a pop icon, or a rock and roll curiosity, he is the world’s songbird, and a genius whose star will shine forever in the hearts and souls of the countless fans he’s touched. Yes, there was more to Michael Jackson. But in the wake of the madness and media circus that is already assembling its three rings, let’s take a moment to remember the time when Michael Jackson was just Michael Jackson. The Michael Jackson that touched us all, and the Michael Jackson that took a piece of each of us with him when he died today.